I received this free to review. Do you love fresh ground pepper? Well if you do then you will love this pepper grinder. I have an affinity for ground pepper. I love it on everything. So that is why I was super excited to be able to receive this pepper mill and grinder. I finally remembered to purchase everything, and we were good to go! My husband put in the batteries and the peppercorn and - voila! Fresh Ground Pepper! I have never had an "electric" pepper mill before, only the kind you have to do by hand yourself. So I couldn't believe how with just a very light press of the button on the front of the Artesio Soft Touch Electric Pepper Mill, out comes your ground pepper. It is very lightweight too, which is nice and very sleek and soft textured and easy to handle. Another nice thing is a little light on it too. So when you have it over your food and press the button a little light comes on so you can see where you are placing the pepper! I guess you can try salt in it also. Which I haven't tried yet, but may eventually. 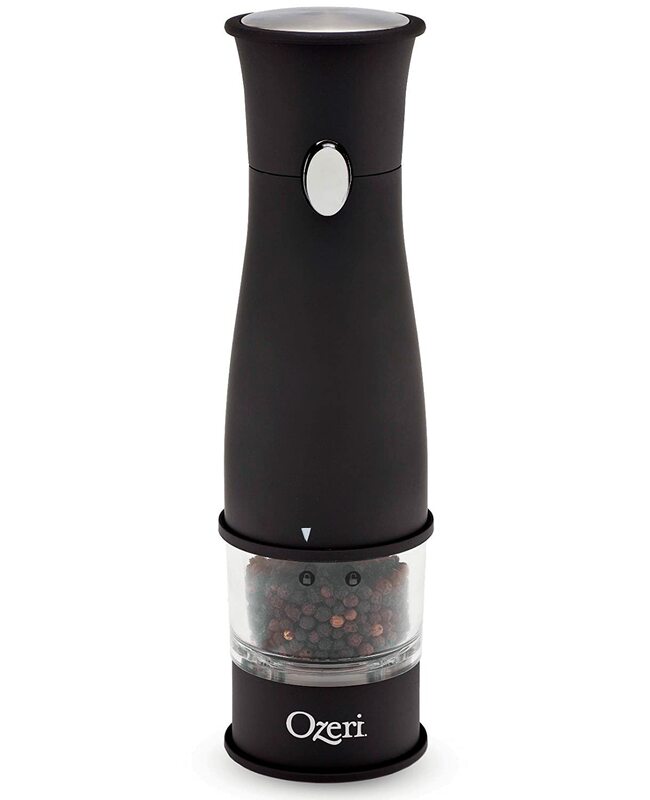 I really like this pepper mill and grinder, and my husband really does too! If you would like to purchase one of these for yourself you can find it on Amazon.com. I received this product for the purpose of reviewing. All opinions are my own. Wow, this looks awesome. I want one!! Sounds like a great product! My husband loves pepper on everything too. Have a great Monday! That looks great. I like fresh ground pepper.